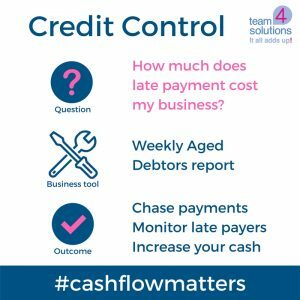 Cashflow: How much does late payment cost my business? Running your own business is stressful. Do you worry about your income and outgoings each month? Do you have time to go over the accounts and keep perfectly up to date with which invoices are outstanding? Do you know at a glance which customers pay on time and who pays late? Do you have the time to spend setting up reports on your own and going through the figures to make sure they’re accurate? Late payments can break a profitable business. If your cashflow stops your business stops: you will struggle to pay your suppliers, pay your staff and continue doing business. 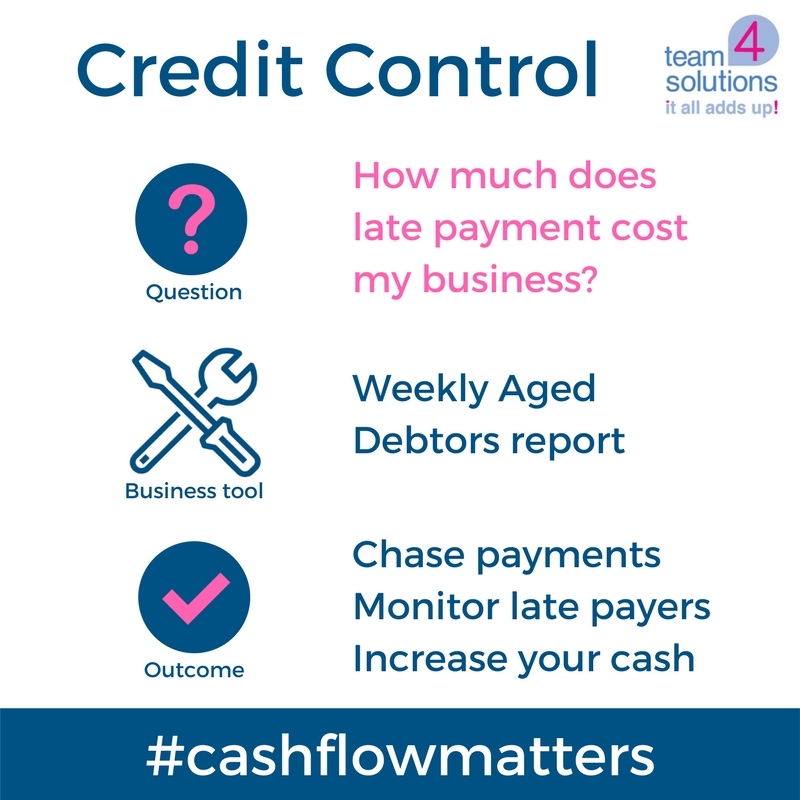 Even a customer insisting on unreasonable credit terms can put your cashflow under serious strain. How can I manage my cashflow? The answer is to run a weekly Aged Debtor’s report and take action based on what it shows you. It’s the kind of thing bookkeepers (and accountants) do all the time and with a quick glance at the report they can tell you exactly what action you as a business owner need to take and even chase those late payments for you. It’s one thing to gather all the financial data and have it all entered accurately in your accounting software. It’s another skill again to present it in a report and make sense of those numbers to do things in the real world that help your business. Your finance team can get you the right numbers presented in the right way and turn them into action. That means you can keep your business healthy and the money flowing in the right direction. Don’t have a qualified finance team at your disposal? Give us a call on 01825 763378 or email info@team4bookkeeping.co.uk. We know we can help.